When we rounded up the best blogs for women law students a few months ago, we got some reader requests to do a list of favorite resources and blogs for consultants, as well! 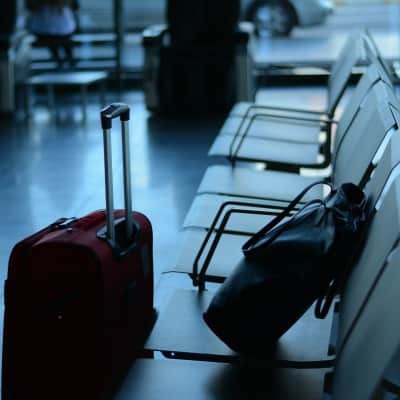 It’s been far too long since we’ve had a guest post from Road Warriorette, so we reached out — Sarah has been a frequent business traveler for over a decade, flying around the world week after week, and in the past she’s advised Corporette readers about how to plan your FIRST business trip, as well as how to be comfortable on a long flight. Thank you so much for guest posting, Sarah! – Kat. Hello Corporette readers! I’m Sarah, and I write about business travel for women over at Road Warriorette. I’ve been a fan of Corporette for a looooong time, and I’m thrilled Kat has asked me to put together a list of my favorite blogs for consultants and other frequent business travelers. Before we start, let me be straight with you. There just aren’t a ton of blogs written for women business travelers, whether they’re on the road all the time or only once in a while. That’s why I started Road Warriorette almost ten years ago! What I’ve put together below are helpful resources from a variety of perspectives, which have combined to make my life on the road easier. I hope they help you too! Clearly, if you’re reading this you understand how amazing Corporette is. When I first started traveling for work I would wear black pants and a black blouse and call it a day. Kat shared so many ideas about combining more colors and patterns, helping me create a travel wardrobe that was fun as well as functional. 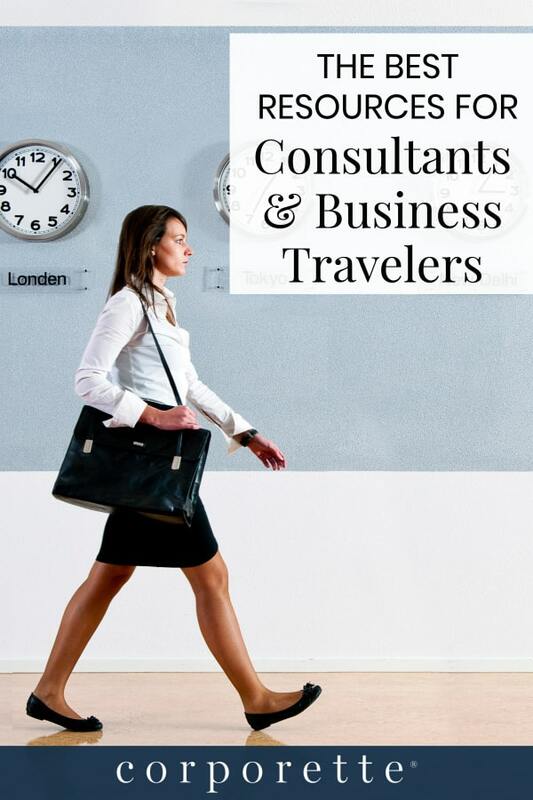 Go Jane Go is a company that bills itself as “aligning industry with the woman business traveler,” and as part of that they have a great collection of essays about consultant and frequent traveler life. They also have a fairly active Facebook group where you can ask questions that only other traveling ladies can answer. Travel Fashion Girl has packing lists for all kinds of travel. 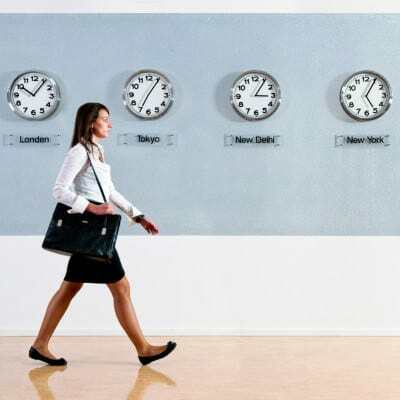 Their business travel section is pretty thorough, and many of their general tips are applicable to business travelers as well. Lady Light Travel was a blog after my own heart. She wrote about traveling the world with a single carry on, with tips on toiletries, outfits, and more. Unfortunately she stopped writing last year, but her blog has plenty of great information and suggestions for frequent travelers. Outfit Posts: The name of the blog says it all — most of her posts are literally pictures of her outfit for the day. As part of her job she is on the road a lot and has some great packing lists and suggestions for capsule wardrobes. RoadWarrior.Blog is written by a couple of guys, and their take on packing is decidedly different from mine. However, they write some really interesting and helpful things about productivity and healthy travel, and I like their straightforward style. If you travel a lot, I highly recommend maximizing your points via strategic credit card use. The Points Guy can show you how to do it whether you want to travel for free or get cash back. 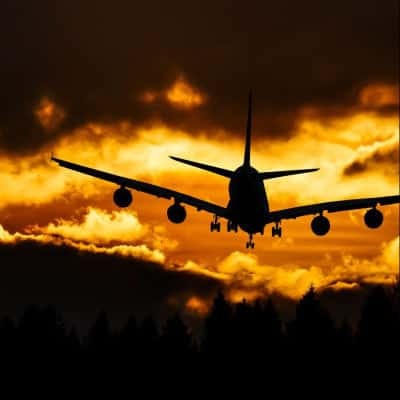 The site also has tons of reviews of different flights, airlines, and individual airplanes, which I find especially helpful when planning international travel. There are plenty of articles on regular career blogs that talk about business travel, and a couple I’ve really enjoyed are Road Warriors: The Ups and Downs of Jetsetting for a Job from The Everygirl and How to Manage Frequent Business Trips from FairyGodBoss. Of course, I can’t leave without plugging Road Warriorette. I write about business travel from a woman’s perspective, primarily focused on packing, etiquette, and making travel easier for newbies. 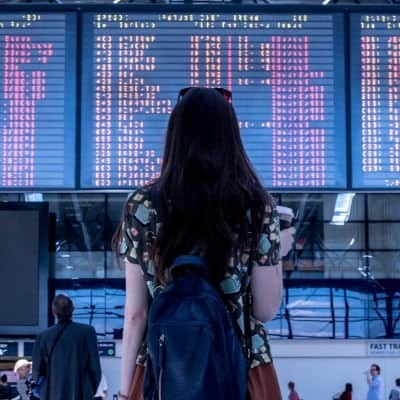 While there aren’t many comprehensive sites designed just for frequent female business travelers, there are plenty of resources that offer helpful tips and advice. Happy travels! Readers, what are your favorite blogs and resources for female consultants and business travelers? How often do you travel for business? Top photo: Deposit Photos / Corepics. All other photos via Stencil. This will probably be more a question for these other blogs but I was curious if there are any readers here with kids that do consulting. I decided against going into such a role right now with an 11 month old and plans to have another in the next couple years, but for my career I will need to go into consulting at some point probably in the next 10-15 years. Is it something that’s feasible once they’re older, or do older kids make it even harder? from my 20 years of professional experience, the older the kids get, the more difficult. with kids in 2 different schools and multiple evening activities every night for the kids, no family in town, and a spouse that travels too, it is hard, but possible. lots of day trips and no long term assignments. If you do it, you need a spouse with a very flexible job who can be home most nights, or family nearby who are comfortable keeping kids multiple overnights a week. Otherwise it’s near impossible unless you can somehow do all local consulting jobs that involve 10% travel. This is why Corporette is such a great BLOG! We have everything we need,PLUS we have the power of the HIVE to ask questions from peeople who have been there and done that!!! YAY!!! I think that I someday will become a consultant, so when I do, I will consult with this websight! DOUBEL YAY!!! And for those goeing away for the holiday, HAPPY Thanksgiving! I am going on a turkey trot with Myrna on LI, and hope there are male turkeys there who are eligible to marry us!!!!! Thanks for this list. I didn’t know about most of these blogs. The Fishbowl app has a few groups that I visit a few times a week about women in consulting and travel fashion It requires a consulting company address or direct invitation to join, which keeps the questions and comments pretty on-point. Just wanted to say this was very useful. Hundred Acre Consulting ( https://hundredacreconsulting.com/ ) has a great blog page as well!